How Can You Get Rid of Sweating Problems? Sweating is a natural body phenomena that the body does to remove toxins. However, when it is excessive it can become annoying. When you sweat, you also tend to worry about whether you smell bad which can result in a major loss of self-esteem. 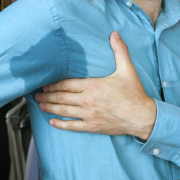 https://dralek.co.za/wp-content/uploads/2018/06/Excess-Sweating.png 337 865 Dr Alek Nikolic https://dralek.co.za/wp-content/uploads/2016/09/Dr-Alek-Logo-Web.jpg Dr Alek Nikolic2018-06-14 10:30:452018-12-18 14:16:58How Can You Get Rid of Sweating Problems?